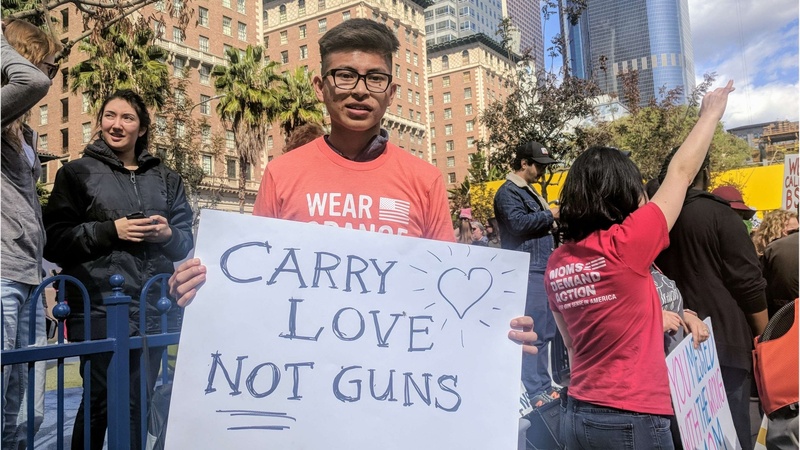 High school senior Marco Vargas is pushing to reduce gun violence. Photo courtesy of Vargas. How do other countries prevent mass shootings? Students nationwide are speaking out against guns. Here in LA, about 1000 kids have formed a group called Students Demand Action. One of them is 18-year-old Marco Vargas.